Hilary Quinn is the driving force behind Proximo Web Design in Cork. 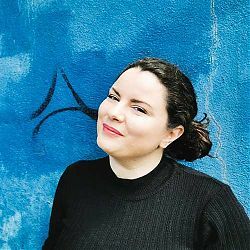 Having always had an interest in good design and usability, she founded Proximo Web Design in 2007 with a focus on disabled accessibility, search engine optimisation and online marketing giving businesses large and small top quality online presence. A finalist in the O2 Ability Awards, and having work featured by web design showcases worldwide she is now educating her clients on the benefits of responsive web design and providing responsive HTML5 mobile-friendly web sites. Hilary prides herself on being able to supply the same great quality work/service to small businesses, as is provided to multinational clients. No matter what size your business Proximo Web Design can help with your online activities, be it a new web site build, a social media marketing campaign, or the myriad of other new media ways to communicate with your own customer base. Hilary is an advocate of the Coder Dojo movement and would encourage any school-going people (boys and girls!) to try a Coder Dojo workshop as an introduction to learning computer programming, and to discover if this is something you or your child likes and has a talent for. She participated in the Girls in ICT event with Heather James performing a web design workshop for a number of Cork based secondary schools. Connect with Hilary on linkedin and see 5 star client reviews!